CALL TO ORDER: Chair Evelyn Souza called the meeting to order at 7:01 p.m. Quorum was established with five (5) members present. Note – This nine (9) member board requires five (5) members to establish quorum and take official Board action. Board Members Present: Dean Kalani Capelouto, Kioni Dudley, Jack Legal, Michael Madix (arrived 7:03 p.m.), Evelyn Souza, Thad Spreg, and Kanani Wond (arrived at 7:08 p.m.). Board Members Absent: Troy Cullen and Mericia Palma Elmore (resigned at this meeting). Guests: Firefighter I Barney Hanson (Honolulu Fire Department), Lieutenant Farrel Sojot (Police Department), Blake Vance and Colette Sakata (Hawaii Agriculture Research Center (HARC); Clarke Bright (Mayor Kirk Caldwell’s Representative); Kathleen Davenport, Matt Caires, and Councilmember Kymberly Pine (Councilmember Kymberly Pine’s Office); Phyllis Shimabukaro-Geiser (Governor David Ige’s Representative); Pat Lee (Honolulu Authority for Rapid Transportation); Meg Turner (Senator Mike Gabbard’s Representative); Wendee Wilson, Dalton Ribble, and Chameigh Peterson (Representative Sharon Har’s Office); Chalia Keanu-Romero (Representative Andria Tupola’s Representative); Representative Ty Cullen; Chet Adessa (State Commission on Fatherhood); Wade Morisato Eric Davis (Hawaii Skate Park Association); Iwalani McBrayer and Claudia Quintanilla (Kaupea); Jodi Akau (Kahekili); Heidi Armstrong (Department of Education); Steve Venot (Hawaiian Railway); Frank Genadio, Mike Golojuch, Mike Golojuch Jr., Carolyn Golojuch, Kevin Rathbun, Jackie Zahn, and Kiran Polk (Citizens); Zoe (Videographer); Bryan Mick and Neil Baarde (Neighborhood Commission Office). Roll Call/ Statement of Order and Decorum: Chair Souza read the meeting policies. Chair Souza apologized for offending anyone who took offense to the comments from the April/May 2015 Meetings. Vice Chair Dudley noted that Chair Souza did what she was instructed to do by the Neighborhood Commission Office (NCO) and commented that she was suspended for doing what she was instructed to do. Attendance was taken by roll call. • December 2015 Statistics: There were 1 structure, 3 wildland, and 1 cooking fire with 15 activated alarms. There were 113 medical emergencies, and 5 motor vehicle crash/collisions. o Plug one (1) heat-producing appliance into a wall receptacle at a time. o Major appliances should be plugged directly into a wall receptacle outlet. Extension cords and power taps or strips should not be used. o Check electrical cords to ensure the cords are not running across doorways or under carpets. o Extension cords are intended for temporary use. A licensed electrician should install any additional outlets and perform the electrical work if necessary. • December 2015 Crime Statistics: There were 30 motor vehicle thefts, 67 burglaries, 188 thefts, and 91 unauthorized entries into motor vehicles (UEMV). There were 8,612 total calls for service. Questions, comments, and concerns that followed: Fireworks – Legal asked and Lieutenant Sojot responded that there were many calls relating to fireworks during the New Year’s celebration. Chair Souza asked and Lieutenant Sojot responded that he has seven (7) stars, one (1) for every five (5) years of duty. Board of Water Supply (BWS): No representative was present; no report was provided. o Architectural, Beautification, and Compliance Committee: Chair Souza nominated Spreg to Chair the Committee. Hearing no objections, Spreg became the Chair of the Architectural, Beautification, and Compliance Committee. o Homeless and Shelter Committee: Hearing no nominations or volunteers, Chair Souza invited those who are interested to come to the next meeting to volunteer. • Appointment of Committee Members: Chair Souza noted that Spreg will Chair the Architectural, Beautification, and Compliance Committee, and the members of the committee will be Capelouto and Madix. • Commentary on Oral Testimony Rules Adoption: Chair Souza noted that a change had occurred because it is conducive to have an organized meeting. The new rules were made with the suggestion of Bryan Mick from the Neighborhood Commission Office (NCO), and the Office of Information Practices (OIP) and through the prerogative of the Chair. Chair Souza noted that she has sat on the Hawaii Community Development Association (HCDA) Board for eight (8) years and commented that the agenda is identical. It is the will of the Board that can change the rules, and commented that once the Board gets a chance to have a meeting flow better, maybe the Board will want to change the rules again. Chair Souza asked the Board when the last set of rules were adopted. Vice Chair Dudley responded October 2015. • Letter Requesting Governor Ige to Send a Representative to the Board Meetings: Wond volunteered to write the letter requesting Governor Ige to send a representative to the Makakilo Neighborhood Board Meetings. • Desalinization Plant: Capelouto noted that Adachi from BWS was not present at the meeting and commented that there was a pre assessment consultation of the master plan. Capelouto noted that the idea of a desalinization plant has been the topic of discussion but the concern is if it will just be an Environmental Assessment (EA) or if they are in the process of building a plant and asked if Kapolei will be the only area that will be drinking desalinated water. Chair Souza responded that it will not be decided until February and noted that the Board can defer the issue for Committee discussion and noted that the site will be near the Costco. Chair Souza noted that the area that was abandoned could be the site of the desalination plant. Capelouto noted that the main concern is the drinking water and the rapid growing rate of the west side because water is a major issue. Chair Souza noted that Vice Chair Dudley’s committee will be in charge of fact finding. Legal noted that because the site is on County Lands, it will trigger an EA. The community was asked to send their concerns and comments about the plant until Monday, February 8, 2016. The comments will be included in the EA report. Capelouto noted that it is unclear about the use of the desalinated water and asked if it would be used for golf courses, buildings, or as drinking water and noted that it is unclear for the purpose of the plant. • Hawaii State Park Association: Wade Morisato and Eric Davis from Hawaii Skate Park Association thanked the Board for their previous support and noted that the park is a big success. But because of the overcrowding, they presented their proposal for the Skate Park Phase II project. Morisato noted that their proposal would increase the skate park by 12,000 square feet because the community is growing fast. Chair Souza asked if the owner is the same as Kapolei Regional Park. Morisato responded that the owner is not with the City and County of Honolulu and noted that they are just waiting for support from the City and the Board. Davis noted that the park has become overcrowded. Word noted that a few months ago the Board established a committee on parks and noted that she was the Chair and commented that she looks forward to expanding the skate park and offered to discuss the plans at a later time. Questions, comments, and concerns that followed: Operations: Capelouto noted that he had a series of questions on how the park operates and asked 1) If there are set hours for the park and if it is locked up at night. 2) Is it a requirement to wear helmets and other safety equipment? 3) Is there lighting at the park. Morisato responded that the park hours are from 7:00 a.m. – 7:00 p.m. but noted that they are loosely enforced because most people leave when the sun goes down, but the rules are listed on a sign at the entrance of the park. The Skate Park Association is in charge of the maintenance and noted that the park is closed with a simple latch. Chair Souza suggested Wond take the issue to her committee. Wond responded that there are skate parks all over the island including North Shore, Mililani, and Kailua. Morisato commented that their park does not allow bikes but some other parks can and noted that the park in North Shore was built after the Kapolei Park and noted that they have already had an addition to their park. Chair Souza noted that Councilmember Pine’s office can help. Capelouto asked about the lighting and the security of the park. Morisato responded that there are no lights and no locks, just a simple latch gate. • Shower Programs: Carolyn Golojuch noted that she has seen many people who do not have a home, grow up over the years and commented that there are youth who do not go to school because they get bullied for not showering. Golojuch noted that she will be asking local high schools and middle schools to open their showers before school, so the students can come to school without being bullied. Golojuch hopes those with influence can encourage the Principals to allow this to happen. Golojuch noted that their organization will donate soaps and shampoos for those who want to shower. Madix asked to be included in their emails and offered to help when can because it is a good and worthy cause. Golojuch noted that Waipahu High School has allowed students to shower before school. Vice Chair Dudley noted that he supports the idea. o Essay Contest: There is an essay contest for all high and middle school students. It is the 1st annual Hawaii State Commission on Fatherhood Essay Contest that will challenge the students to draw from their own experiences that explore their relationship with their fathers. The deadline will be on Saturday, April 30, 2016.
o Design Contest: There is a design contest for all high and middle school students. The Hawaii State Commission on Fatherhood is inviting students from 7th grade to 12th grade to create a new logo and/or slogan that will become recognized by all. The deadline will be on Saturday, April 30, 2016. 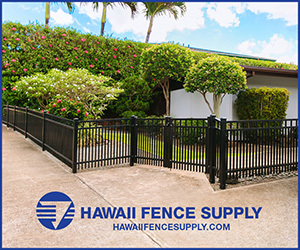 • Kapolei Kaupea Hawaiian Homestead: Iwalani McBrayer noted that she has been a resident of Kaupea since January 2007 and noted that she is asking for help with getting a retaining wall for the safety of her community. She was told that there would be funding to help but has not heard anything since 2012. McBrayer noted that her concern is to protect the residents, after school students, and other children in general. McBrayer commented that she has been supported by many organizations except for the Department of Hawaiian Homes and was hoping that she can also get Board support. Chair Souza commented that Vice Chair Dudley’s committee could be able to help. Legal asked where the retaining wall would be. McBrayer responded that the retaining wall will be along Kapolei Parkway at the stop light fronting Kaupea. Chair Souza deferred the issue to Vice Chair Dudley’s committee. Wond asked if McBrayer can bring extended pictures of the area of the retaining wall. McBrayer responded that the wall will be extended to the 3rd opening and noted that was a part of the original plan. • Theft: Jackie Zahn raised a concern about the Private Road she lives on because there has been many suspicious activities occurring. Zahn noted that HPD has been responding to car thefts in the area. Zahn noted that the thief had warrants and commented that the suspects have been looking for cars on private roads. Zahn asked the community to please be aware of their surroundings. • Comments and Concerns: Mike Golojuch Jr. noted that he attended Councilmember Pine’s meeting related to the Oahu Metropolitan Planning Organization (OMPO) and noted that the planning and design is ready but the Neighborhood Board keeps holding up the issue because the Navy is held up with the Salt Lake Neighborhood Board. Golojuch Jr. noted that he supports the skate park proposal and noted that at Kapolei High School, the February 2016 theater production will be Good Son, Charlie Brown. Tickets will be $10 pre-sale and $13 at the door, March 2016 production will be Lion King Jr. Chair Souza noted that the community of Makakilo always wanted a 2nd access road because there are roughly 10,000 cars daily but the project has been bumped by the Salt Lake Neighborhood Board. Chair Souza commented that the Neighborhood Board needs to rattle the cages of the City and County or the State for the 2nd access road. Hearing no objections, Chair Souza took the agenda out of order to Oral Testimonies. Testimony: Golojuch Jr. raised a concerna bout the minutes and noted that the community was invited to come up and speak by Board member Madix and noted that UH West Oahu has no development and asked the minutes be changed to show the corrections. Hawaii Agriculture Research Center (HARC): Golojuch Jr. noted that everyone needs to come up and speak on the issue because of the Board policies. Golojuch Jr. noted that he is still waiting on answers where the concern was raised in September 2015 and commented that the community should have a say. Golojuch Jr. commented that and thanked Councilmember Pine’s office for informing him about the development of workforce housing and noted that he learned more from Councilmember Pine’s OMPO meeting than two (2) years from the Board. Golojuch Jr. commented that the Board should have community items on the agenda and congratulated Pat Lee and HART on the extension and commented his thanks to those who are anti-rail, and thanked them for holding up the process and causing more money to be wasted. Madix thanked Golojuch Jr. and noted that he appreciates his concerns and noted that the items discussed will be brought to the individual committees and then brought to the Board for discussion. Hearing no objections, Chair Souza brought the agenda back to Approval of December 2, 2015 minutes. 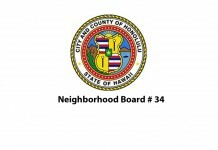 Madix moved and Capelouto seconded that the Makakilo/Kapolei/Honokai Hale Neighborhood Board No. 34 approve the regular meeting minutes of December 2, 2015 as amended. Discussion: Golojuch Jr. explained the situation and how the minutes should be read. Chair Souza noted that Madix is not the Chair and commented that Golojuch Jr. was recognized by Vice Chair Dudley. Capelouto noted that the Board was not taking any position on the issue because there was not enough information. Chair Souza commented that a representative from UH West Oahu is on the agenda for the February 2016 meeting. Chair Souza called for the vote. The motion was APPROVED, 5-1-1 (AYE: Capelouto, Dudley, Madix, Souza and Wond; NAY: Spreg; ABSTAIN: Legal). • Throughout the Minutes Capetuolo should read Capelouto. • Page 3: Golojuch Jr. approached… should be corrected to Golojuch Jr. noted that UH West Oahu has no development and Dudley was rude to the community by not giving early notice on a major issue. Chair Souza gave the gavel to Vice Chair Dudley and departed the meeting; Six (6) members present. Hawaii Agriculture Research Center (HARC): Blake Vance presented HARCs proposal for a photovoltaic facility in Kunia. The issue is the area of the land as it is “A land”. HARC has moved to the Kunia area and has sold their development rights. The area is west of Kunia Village at the corner of Kunia Road and the H1 interchange. It will be on the very eastern fringe of the Neighborhood Boards jurisdiction. Vance noted that he has made a presentation to the Board in previous years and commented that the proposed 130 acres will be preserved in perpetuity. It is “A land” but on Cane Haul Road, where four (4) to seven (7) feet of fill material will be used. Vance noted that they will be killing three (3) birds with one (1) stone. Vance noted that they completed the easement to put the PV on the road but not as a ground mount because of the field use. The PVs will be elevated over a carport style hangar. DPP suggested trying to change the law by speaking to several agencies. HARC has received full support because they will not be taking agricultural land out of use. Vance commented that the law counters their mission to keep agricultural lands going. 1. Electricity: Capelouto raised a concern about the use of electricity and asked if it would be used for HECO. Vance responded that the electricity generated will come from the PVs and go straight to HECOs grid and commented that the solar panels are tariffs. Capelouto asked who will be paying. Vance responded that Solar Hub Utilities will be paying for the service. 2. Rates: Wond thanked Vance for the informative presentation and asked where the site will be and asked if the electricity goes to HECO will the rates go down and if not how can they change the laws. Vance responded that it is their objective to not use fossil fuels and it is a part of their initiative to be non dependant and commented that it should eventually reduce energy rates. Wond asked with several PV farms are going up, is the company in a position to tell the community to use the land and if the company can make a compromise that will have no kick back for public savings or more income going back for the tax payers. Vance responded that there is no good answer but numerous conversations have been going on but no one has dealt with HECO because of the contract being between HECO and Solar Hub Utilities. The farms will have to improve the infrastructure but should result in lower rates. 3. Self-Sustainment: Legal noted that he supports the proposal because it is a good purpose and they are trying to make it self-sustaining and commented that this proposal is very creative. Legal commented that through this proposal, the company is avoiding the use of “A Lands,” and it can satisfy all three (3) requirements, and noted that the company would be responsible since all of the requirements have been satisfied. Madix asked if HARC is the leaser to Solar Hub Utilities. Vance responded yes, they have successfully changed the law for “A Lands” and asked where Solar Hub Utilities was before because the public should be notified, and asked if HARC has visited other Neighborhood Boards. Vance responded that the Makakilo Neighborhood Board was the second Board approached by HARC and noted that at first they were denied because the laws were not changed and commented that they have recently made a presentation to the Waipahu Neighborhood Board. 4. Concerns: Spreg noted that he is in support of the project. Dudley raised a concern because the area above the freeway is supposed to be development free and noted that he is having trouble with the “little steps” that help move the project forward. Dudley commented that the development has been colored into the picture to a point where it cannot be fully seen. The main concern is keeping the beauty of Hawaii and noted that he has seen a 16 foot carport that is not aesthetically pleasing to see. Vice Chair Dudley noted that the big issue is that HARC is a money making deal and commented that during the next meeting, the Board could be convinced if trees are added so there is no visual of the carport. Vance responded that HARC cannot satisfy everyone’s concerns by making an agreement because maybe it will not go through. Understanding is important and there will be hearings for the community to give comments or recommendations to the planning commission. Legal asked how many acres would be needed. Vance responded that only one (1) acre is needed and HARC will rebuild the forest to hide the carports. Discussion: Wond noted that this issue should be deferred to the committee and commented that she knows people that would be concerned with the land being developed, but since it is for solar purposes, Wond commented that there is one (1) foot in the door. Wond noted that she would like to know more and hear more discussion and information about the project. • District 1 Priorities: Councilmember Pine thanked everyone for attending and explained that her priorities for District 1 are to support affordable housing, fix and open more roads, promote quality Leeward jobs, and to improve recreation spaces and facilities. It was noted that the number one (1) concern is the cost of living. Councilmember Pine noted that her ultimate goal is to lower the cost of living and to help the affordable housing crisis. There is a forecasted demand of 25,000 homes with an average market price ranging from $480,000 – $2 million, and the State will only yield 1,400 units at a time. o Inclusionary Zoning Policy: The policy would mandate developers to build affordable housing units when they ask for zoning changes. And it would produce affordable units for sale and rent in the Kapolei and Makakilo areas. o Affordable Housing Fund: City Council has created an affordable housing fund and they will provide grants and low interest loans to developers building affordable units. o Accessory Dwelling Units (ADU): City Council has initiated and approved a bill authorizing “ADUs” and it will provide a second income for homeowners and affordable rentals in each community. • Ko’ola’ula By Mutual Housing Association: The application will be available soon for lottery of phase 2 of the project, which would be about 188 units. The site will be located a block away from the Kroc Center with rent starting at $885 a month. For more information visit: mutual-housing.org. • Kulana Hale (Kapolei): There will be 154 rental homes for seniors with the rent starting at $503 per month. There will also be 72 affordable homes for sale ranging from $324,000 – $500,000. For more information, visit: coastalrim.com. • Kapolei Lofts: There will be 499 rental homes with rent starting at $1,217 per month. For more information, visit: forestcity.com. • The Michaels Organization: Michaels’ East Kapolei Community will have 300 rental homes and will be located mauka of the Ewa Villages Golf Course and rent will start at $551 per month. • Hoopili: Hoopili has almost 4,000 affordable homes, where 1,300 homes for a family of four (4) who make under $76,650. The housing plan must be in place before building permits are approved. The long term plan is to keep building homes over the next 20 years and a market study has shown that almost 90% of the community are local buyers on the Leeward side of Oahu. • Traffic Mitigation for Hoopili: The traffic mitigation plans for Hoopili are submitted at every milestone before construction can continue. The milestones require road improvements be finished before certain work can continue. $30 million in funds have been granted to the Ewa Highway Impact Fee Program to widen Farrington Highway, fix the Kunia Interchange and H-1 improvements, and more local traffic improvements in Traffic Impact Studies. Within Hoopili, the City will support Agriculture Infrastructure by requiring 200 acres of Agriculture Land to be leased to farmers. In Kunia, it is required that 1,732 acres of Agriculture Land be leased to former Hoopili tenants and other farmers. Councilmember Pine noted that she expects jobs to grow over the next 20 years with 164,000 residents which would equal about 100,000 Leeward jobs. • Improving Open Spaces: Councilmember Pine wants to improve the open spaces in Kapolei and Makakilo by starting the Leeward Adopt-a-Park Initiative, Leeward Coast Benefits Program, park improvements at Kapolei Regional Park, and a two (2) – three (3) acre pet park in Hoopili. Kapolei Regional Park will be a future adopt-a-park site. To get more involved go to: CouncilmemberPine.com/Parks. 1. Average Rent: Spreg noted that the numbers from the presentation do not say much and asked if he can get more information and what the average rent would be. Councilmember Pine responded that the official affordable housing term is 140% above average of Hawaii. Extremely affordable is 30% and low income would be 50%-80%. Spreg asked what kind of home can a family that earns $140,000 own. Councilmember Pine responded that the home would not be considered affordable and commented that she will follow up on all the number figures presented. 2. Traffic Concerns: Capelouto noted that he has lost faith in the City and the State’s ability to address the traffic concerns and commented that he believes traffic is Oahu’s biggest concern, and not traffic. The way things have been developing, Capelouto noted that he does not even want to own a home because many have been impacted by the lack of homes on Oahu. Capelouto commented that he is unsure of the data but the quality of life issue is being caused by traffic and the concerns that come from it. Capelouto noted that he is sure about how smooth traffic flows when UH is not in session, but the rail was cut short of UH Manoa and commented that the rail could consider the redesign of the cars to handle a higher number of passengers. Capelouto noted that there should be a system that improves the quality of life or the community will end up going backwards. The original number of homes permitted was 70,000 but the proposal was not approved, but they were zoned. The major concern now is traffic and how the roads cannot handle the capacity of cars that are always on the roads. Councilmember Pine responded that she understands the conerns because she also wakes up at 4:00 a.m. to get her family ready but her job is not to look at one (1) problem, it is to try and solve all of the problems. Councilmember Pine noted that many of the homeless families are local families and noted that she will follow up and provide the emails and phone numbers. 3. Traffic Solutions: Councilmember Pine noted that the City is trying to have less traffic by bringing quality jobs to the Leeward side and announced that there will be a Hire Leeward Job Fair at UH West Oahu on Friday, February 26, 2016 and Saturday, February 27, 2016, and commented that there will be two (2) phases that will create over 1000 jobs. There will be all types of jobs from entrée to management positions. Councilmember Pine noted that she has been pushing the issue and will check in during each phase because it is predicted to make over $100 million in revenue. It was noted that the funding had been finalized to support the Rail project and roughly 9,000 people from Kapolei will be riding the 38 minute ride to town, the Rail will help with the traffic issues. Spreg commented that the City said with Rail the traffic will be 19% heavier than the traffic than in 2007, and noted that it will be worse. Councilmember Pine responded that in 20 years the population will increase, and traffic will naturally get worse because there will be more people. Everyone will need to live everywhere and the Leeward side will need quality jobs. Legal disclosed that he works as a realtor and noted that he has realized the magnitude of the homeless and the housing issues, and commented that 30% of the Leeward area needs income and affordable housing. The reality is that if nothing gets done the issues will only get worse. Everyone needs to work together for a solution and suggested that the Government and Private sectors work together to solve the homeless and affordable housing issues. Legal noted that not everyone will agree on everything but people can agree that there is a problem and something needs to be done. 4. Affordable Housing: Madix noted that if affordable housing is the solution, the City needs the developers to set limitations that will not go away because there will not be any money when the property is sold. Madix suggested keeping affordable housing prices low and asked if there are any limitations on residency. Councilmember Pine responded that affordability perpetuity is a current issue with the City Council and noted that she will follow up with the information when it is received. Wond commented that she does not think affordable housing can solve the homeless issue and asked if Affordable Housing will be distributed evenly throughout the State and asked for percentages. Councilmember Pine responded the City has been looking in every district because the homeless are everywhere and noted that the City is focused on housing not homelessness. It was noted that a Resolution was passed that agrees with what Wond was saying, and commented that the units/shelters will be built all over and Councilmember Pine will look into the statistics for the correct numbers. 5. Hoopili: Vice Chair Dudley noted that 25,000 homes will be needed over the next 20 years and commented that there are 58,000 homes zoned in Kapolei without Hoopili, and around 70,000 with Hoopili. Vice Chair Dudley commented that the homes at Hoopili are not affordable and noted that he knows a number of families that cannot find anywhere to live in Hoopili. There are 1400 affordable homes where the price average will be $30,000 – $35,000. 1300 homes out of 4000 affordable homes will need a couple to make at least $76,000, and commented that only a few can afford the top because it is a tiered project. Vice Chair Dudley noted that he does not want 1200 houses in the area where 90% goes to the rich people and commented that that Galbraith has not been solving their problems because there is not a piece of land out in the sun, and they have turned over crop after crop and noted that it is not right. Councilmember Pine responded that the farmers who moved, love it there. They are doing better than they were at Hoopili because it used to only rain quarterly and noted that Galbraith is in prime Agriculture Lands. Councilmember Pine suggested the Board contacting Galbraith and having them send a representative to make a presentation and noted that the Department of Agriculture statistics show 50% sustainability of Agriculture Land, which means there is about 44,000 acres of prime Agriculture Land. Wond departed the meeting at 9:30 p.m.; Five (5) members present. 6. Campaign Donations: Vice Chair Dudley noted that he did a study of the campaign donations and from June 2012 to December 2014, 73% of the people made a profit from Hoopili and Rail. Councilmember Pine responded that over 60% of the people voted in favor of the Rail and noted that Vice Chair Dudley’s comments and accusations hurt because she cares about her district. Councilmember Pine went over Vice Chair Dudley’s report and showed a report and testimony from Mary Smart. Dudley noted that he does not see Smart’s name on the report. Councilmember Pine responded that she can send a copy of the report to Vice Chair Dudley. Legal commented that the name on the list was during special elections. Vice Chair Dudley noted that Tom Berg had won. Legal commented that both Dudley and Berg were against Hoopili and Rail but when Berg was elected he changed and noted that Councilmember Pine won because of the people. Dudley noted that there were specific partners that donated to Councilmember Pine and not to Berg because he only received votes by sending materials in the mail. • Adopt-A-Park: The City continues to make tremendous progress in updating play equipment and comfort stations at parks throughout Oahu under the $2 million Kakou for “Our Parks Program.” In 2015, the Department of Parks and Recreation (DPR) refurbished 10 playgrounds, while erecting 13 new play areas for the keiki, for a total of 23. 22 comfort stations were given makeovers, and the results are truly remarkable. Through Adopt-a-Park, volunteers rake leaves, paint picnic tables and benches, paint playground equipment and even remove graffiti. There are 280 groups and organizations taking part in the program. Anyone wishing to Adopt-a-Park can call DPR at 768-3034 to get involved. • 2016 Mayor’s Memorial Day Poster Contest: “Sew a Lei for Memorial Day” Poster Contest is open to all students from grades K – 12th. The deadline to submit a poster is Friday, March 4, 2016. Governor David Ige’s Representative: Phyllis Shimabukaro-Geiser reported that the Governor’s State of the State address is on the Capitol website and commented that the text of the address is also available online. Questions, comments, and concerns that followed: Scott Enwright – Vice Chair Dudley thanked Governor Ige for the appointment of Enwright. Great news! Councilmember Kymberly Pine: Councilmember Pine reported the following: Bill 9: Bill 9 establishes a program within DPR for the designation of sites and cultural value in City public parks. The first will be at Kapolei District Park. 1. Investment of UHWO: The unemployment office is changing from Waipahu to town and asked for information. Councilmember Pine deferred the question to Governor Ige’s Office. Shimabukaro-Geiser will follow up. 2. Extension of PVT: Capelouto noted that a letter was sent to DPP regarding comments to extend the PVT and asked if Nanakuli and Waianae have taken positions. Councilmember Pine responded that most of Nanakuli supported the extension and noted she will follow up with Waianae’s position. Hawaii Community Development Authority (HCDA): No representative was present. • Passengers: By 2030, HART anticipates approximately 116,900 daily passenger boarding’s for the train during the weekdays. Most of the riders are expected to arrive at the stations either via walking (30%) or via bus connections (60%) on average. Because of the close spacing between stations and relatively dense neighborhoods in town, there will be a high percentage of riders who are expected to walk to the stations in Kalihi, Kapalama, Chinatown, and Kakaako – about 60 to 80 percent of all riders. About 15 to 30 percent of the riders in these neighborhoods are expected to arrive via bus. • Bus-Rail Integration System: HART is coordinating with the City and County of Honolulu Department of Transportation Services (DTS) on a bus-rail integration strategy for a single fare and seamless connection between bus and rail users. A working group consisting of HART, DTS, Oahu Transit Services, and other staff are meeting on a regular basis to explore opportunities for efficient multimodal service. As Honolulu grows into a more livable, walkable city, rail would play an important role in providing mobility for people to live, work and play, ride a bike, walk or take transit to their destinations rather than driving in traffic. • Construction Highlights: The latest construction highlights are more than 400 foundation shafts placed, more than 300 columns placed, more than 4,000 segments casted, and almost six (6) miles of guideway completed to date. • Shop and Dine on the Line: Just a reminder about the Shop and Dine on the Line program: It is designed to assist businesses along the rail alignment during construction by encouraging the public to patronize these stores and restaurants and use the discounts and other promotions these businesses are offering. Please visit: www.shopanddineontheline.com for more details and a list of the participating businesses. For general project information, traffic updates, meeting notices and more information, please visit the website www.honolulutransit.org, call the project hotline at 566-2299 or email a question at info@honolulutransit.org. • UH Manoa: In response to Capelouto’s comments on UH Manoa. 116,900 daily boardings translates to more than 40,000 vehicle trips off the road per day. The December 2015 UH Manoa enrollment was 18,865 students, both undergraduate and graduate. So, with 40,000 vehicle trips removed from the road, if rail were operating today, the traffic results would be similar to UH Manoa being out. • Capacity: In response to Vice Chair Dudley’s comments on capacity. The trains will come every five (5) minutes during peak times. HART will operate four (4) car trains which can hold 800 passengers. With 12 trains per hour, that would accommodate 9,600 riders in each direction. So, for example after UH games at the Aloha Stadium, the train could move 19,200 people in an hour with 9,600 in each direction headed east or west. Questions, comments, and concerns followed: Cost: Spreg asked what the total cost would be to shut down the project. Lee responded that $1.85 Billion is what has been spent to date and noted that the final cost of the project would be $6.5 – $6.7 Billion. Madix asked about the annual operating cost. Lee responded that it is about roughly $300 million and is made up from the City’s operation budget. • Bills: This week was the final days to send bills in and it was noted that Senator Gabbard had sent in 61 bills to the Legislation. • Industrial Hemp: As Chair of the Water, Land, and Agriculture Committee, Senator Gabbard will be focusing on the industrial hemp and local food productions. • Talk Story: Everyone was invited to come to a Listen Story Meetingon Saturday, January 23, 2016 from 9:00 a.m. to 10:00 a.m. at the Kapolei High School Teacher’s Lounge. Questions, comments, and concerns followed: Unemployment Office: Madix asked if it was true that the unemployment office closed and moved to town. Turner will follow up. Senator Maile Shimabukuro: No representative was present; no report was provided. Representative Sharon Har: Wendee Wilson reported that there will be two (2) officers directing traffic on Kawailoa and Farrington Highway. Phase II of the project will be completed by 2018. Representative Andria Tupola: No representative was present; a report was provided. Representative Ty Cullen: Representative Ty Cullen reported that he will also follow up with the labor office regarding the unemployment office. Questions, comments, and concerns that followed: Unemployment Office: Madix noted that the community is getting mixed signals because there was a build up for investments for the Leeward side but the City took the unemployment office and asked how Representative Cullen will show support for his district. Representative Cullen responded that the issue was discussed with a previous administration and commented that as they move forward they will find a plan. Vice Chair’s Report: There were none to report. Treasurer’s Report: Report was deferred to the February 2016 minutes. 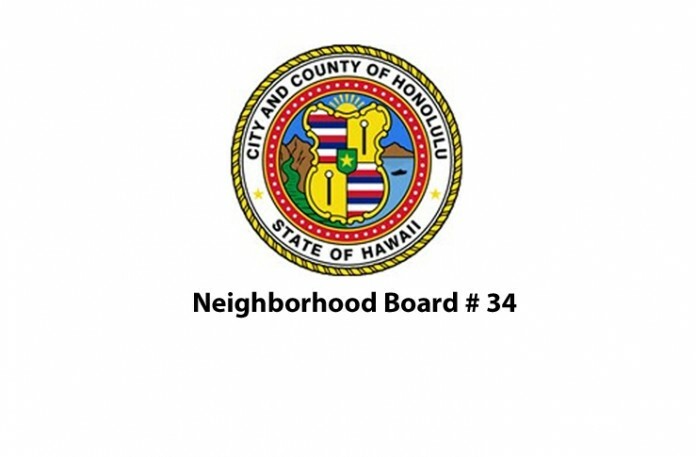 ANNOUNCEMENTS: Next Meeting: The next regular meeting of the Makakilo/Kapolei/Honokai Hale Neighborhood Board No. 34 will be held on Wednesday, March 23, 2016, 7:00 p.m. at the Kapolei High School cafeteria. ADJOURNMENT: The meeting adjourned at 10:06 p.m.